Why Choose Town Car Limo in San Diego by Excellence? we pledge ourselves to take your every need in our ride. Assortment of vehicles – We have a diverse fleet of limo taxis and buses around the clock, seven days a week. Luxury – Town Car Limo San Diego if the definition of luxury. Transportation in any of our vehicles is a rare pleasure. Nominal rates – We believe in living up to high standards with a minimal price tag. Dedicated staff – Staff members are courteous, efficient and punctual. 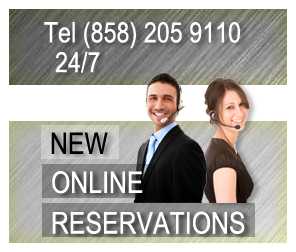 Within easy reach – Town Car Limo San Diego is by your side. We are thoroughly acquainted with the entire city and its suburbs. Professionalism – We are dedicated to customer satisfaction and reliability. Charity – A portion of our earnings is donated to charity, including the Women's International Center 501c3.